Dive deep enough into research and things get a little surreal. What surfaced today? 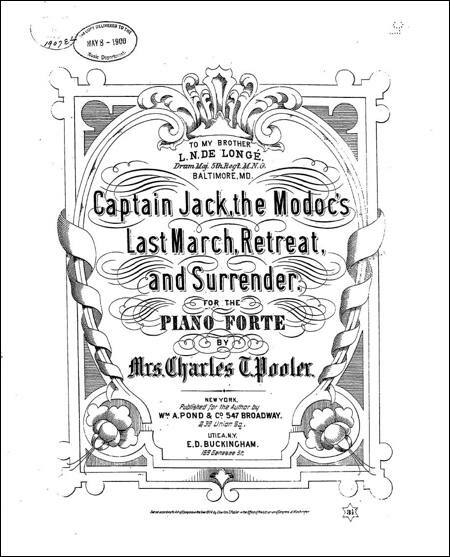 A piece of piano music called "Captain Jack, the Modoc's Last March, Retreat, and Surrender." 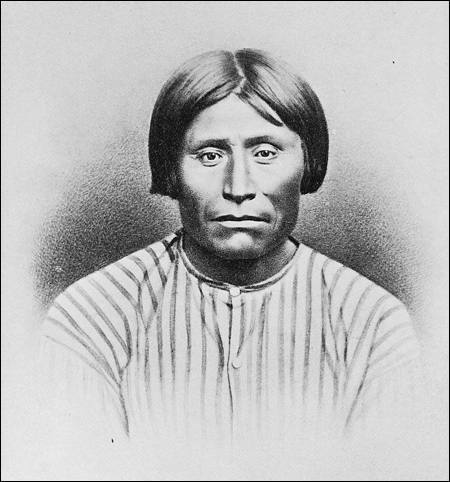 Jack (native name Kintpuash), was leader of the Modocs during the Modoc War of the 1870s. In the sheet music, Captain Jack's musical "March" is notated to be played with "Spirito," his "Retreat" is a "Quickstep" and "The Surrender" is "Adagissimo" -- very slow -- perhaps an allusion to Jack's words when he was captured in Willow Creek Canyon: "Jack's legs give out." In Modoc mythology, that spot along Willow Creek is called Rollhead Owl Place. There's a story (and a song) about a man who was feeling weighed down by the burdens in his life. He sits down and starts throwing away pieces of himself to lighten his load ... his legs, his arms.... But he has a dog who keeps retrieving his parts, and the man keeps saying to his dog, "That's okay, leave them there. I don't need them any more." Eventually he becomes a head rolling along. People call him Rollhead Owl, a reference to a local burrowing owl who runs along the ground, looking like a rolling head. 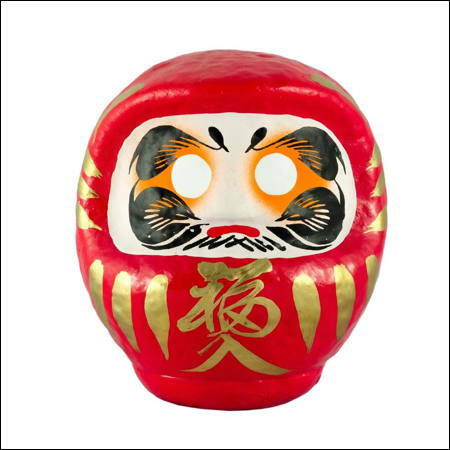 He becomes the Modoc version of a Japanese Daruma doll, an image of the 5th-6th century monk Bodhidharma who brought Zen to China. The story says that he sat facing a wall for nine years, meditating, until his arms and legs fell off. When Jack retreated to Willow Creek Canyon, he knew it was a dead end. There was no way out. So his words, often interpreted by historians that he was tired, are only half the story. Jack was also ready to toss off those legs, and the rest of his being that he no longer needed, and he came to Rollhead Owl Place to do this. Not exactly a quickstep. But back to the sheet music. This musical wonder was published in 1874, the year after Jack was hanged at Fort Klamath. After the hanging, Jack's head was removed and sent to the Surgeon General's Office for study, then reduced to a skull for a long stay in the Smithsonian, and finally given to his descendants for proper burial. In Old Time Modoc culture, you cannot make the journey to the Land of the Dead unless your entire body is intact ... all the pieces are present. Glancing at the music, I don't think that even a master pianist could draw the full range of the emotions of Jack's story from this piece. But the Modoc War was well covered by the press -- there were reporters there from London -- so I suspect the composer, Mrs. Charles T. Pooler, made a bit of pocket change from its publication, perhaps even enough to do a little quickstep to the bank. The photos show Captain Jack, a Daruma Doll, and the cover of "Captain Jack, the Modoc's Last March, Retreat, and Surrender."